Invite groups to your meeting. With NeedToMeet Premium, you can invite groups to your meeting. So you no longer have to add people one at a time to schedule a meeting with a group of people — whether that’s your project team, a committee, or just a group of friends. 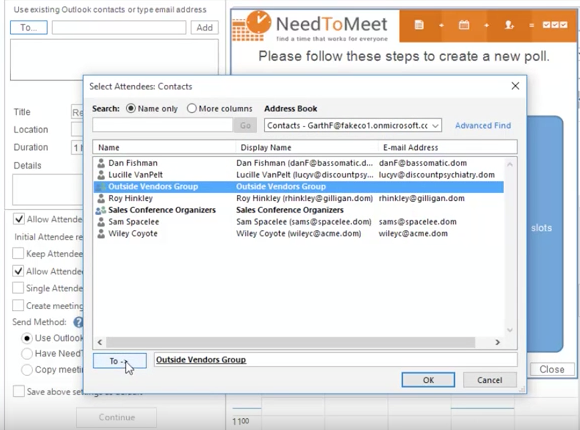 You can send meeting invites or polls to an existing Outlook group or can create your own custom group in NeedToMeet using a list of email addresses.